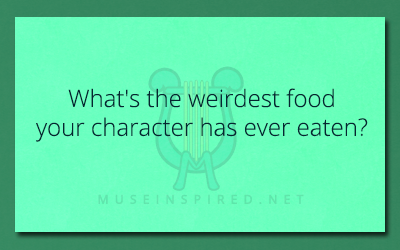 Character Development – What’s the weirdest food your character has ever eaten? Character Development - What would your character order on a dinner date? Character Development - What is a motto your character might commonly say?